Pinterest has been grabbing the attention of your customers since it first launched in March 2010. Since that time, its growth has continued, reaching 70 million users in July 2013. This visual discovery tool is a force to be reckoned with, and your customers are the ones using this site. This begs the question: Is your business pinning to Pinterest? Pinterest has been utilized by your customers for four years, and it’s time your business started using it to put the spotlight on what your company offers. Grow your sites traffic, expand your reach, discover potential buyers, and increase sales by incorporating Pinterest into your daily online social activities. Whether your business sells cars, shoes, or food, pinning images of your inventory to Pinterest is one way to gain customers by directing them towards your business’ services, products, and website. Here are some fascinating facts and stats that will want you to start using Pinterest as a part of your business’s social media marketing strategy. Pinterest receives 2.5 billion page views each month. Shoppers referred to a site from Pinterest are 10% more likely to buy. Pinterest is now the third most popular social network (behind Facebook and Google+). 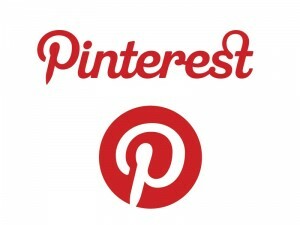 75% of all Pinterest daily traffic comes through mobile apps. Pinterest has 85 million unique visitors each month. 20% of total social referrals to commerce sites come from Pinterest. Pinterest is the 16th most visited website in the United States. Tutorials, guides and & DIY pins see a 42% higher click through rate. The average US Pinterest user follows an average of 9 retailers on Pinterest. The average user will spend just over 15 minutes on Pinterest per visit. Pinterest attracts 1,090 visitors per minute. Using this free social tool to highlight your products and services is an effective way in bringing your business to where the customers are. And right now, there’s a good chance they’re on Pinterest. Your business simply needs to have the eyes of Pinterest users and the clicks to your website they can provide. Start grabbing the attention of customers and begin pinning, before your competitors beat you to it!